GoFIBER is a leader in next generation internet and voice services. We offer high-end fiber internet services including, Voice Over IP (Internet Protocol), high speed web browsing, and unified communications solutions for small-to medium sized businesses, as well as to enterprise level customers. 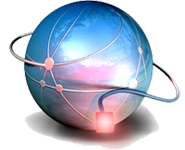 We are capable of providing secure, reliable high bandwidth internet up to 1Gig. No matter how many branch offices you have, sharing files is fast ,easy and reliable, and sending/ receiving messages no matter the size takes only seconds. GoFIBER has an abundance of reliable network resources which allows us the capability to deal with all your data needs. The high capacity GoFIBER IP network has one of the best levels of performance and reliability. With a lot of bandwidth and billing options you can order and pay for exactly what you need. GoFIBER Delivers 24x7 access to the internet even during high volume usage. No slow "peak" periods. Our bandwidth is always fast! 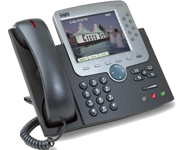 GoFIBER provides a wide range of cost-effective, dependable voice products for businesses of all sizes. From reliable local and long distance services to "Follow Me", "Single Number Reach" and "Hunt Groups", GoFIBER has what it takes to bring you up to speed with the latest in voice technology. Our continuous network monitoring coupled with our world-class tools allows us to deliver one the best Service Level Agreements in the industry.